Dr. Kurtzman's dental office is equipped to handle patients with special medical situations at the dentist. Some medical conditions make it dangerous for patients to be treated in a traditional dental office setting. In cases where an increase in stress and anxiety aggravates a medical condition special care is required. If the attempts at treatment can cause harm to the patient or dentist, special treatment is likewise indicated. In these cases it is often necessary to use Oral Sedation to control anxiety and stress or General Anesthesia in the Hospital operating Room to make treatment possible. Our Atlanta dental practice has worked with many patients who have special medical needs. Dr. Kurtzman has many years of experience working with patients who have special needs and he can help you with your needs. Contact us today if you have a medical condition and need special care when visiting the dentist. We can help you. 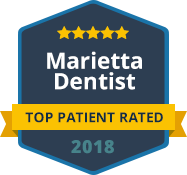 Please contact our Marietta Dentist office or call today to schedule your appointment at: (770) 980-6336. We look forward to working with you and providing the best possible dental care.